A couple of weeks ago, my husband and I decided to take our girls out for a treat at lunchtime. At the end of the school year in June I had received a gift card to Harvey’s, a burger place, and thought it would be a good opportunity to use it before I left it in the bottom of the drawer and forgot about it. We do not frequent fast food places as a rule and therefore took a while to choose our meal. While we were eating, I could tell my family was not impressed. To be honest, I knew I could create a better burger at home – and be more generous with the toppings! As we left the fast food restaurant, my daughter said words I never thought I would hear from my children. “Mommy, I am grateful that we eat home-cooked meals.” My daughters, who are now both teenagers, have come to appreciate the meals my husband and I cook at home. My chicken dinners are enjoyed by all as I have learned to roast the chicken so that it is not dry. Having experimented with the herbs and spices, I have figured out exactly how much to use for our tastes. 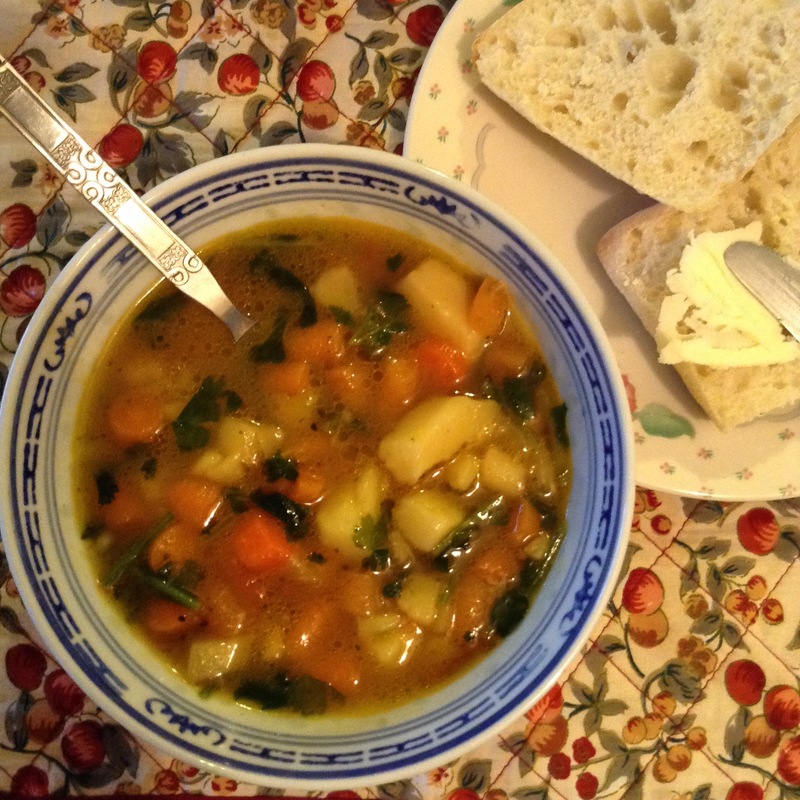 As the cool days are approaching, I know I will make my vegetable soup often. We also enjoy the taste of lentil soups as well – whether it is brown lentils or red lentils. Stew, and even curry, is a favourite too. 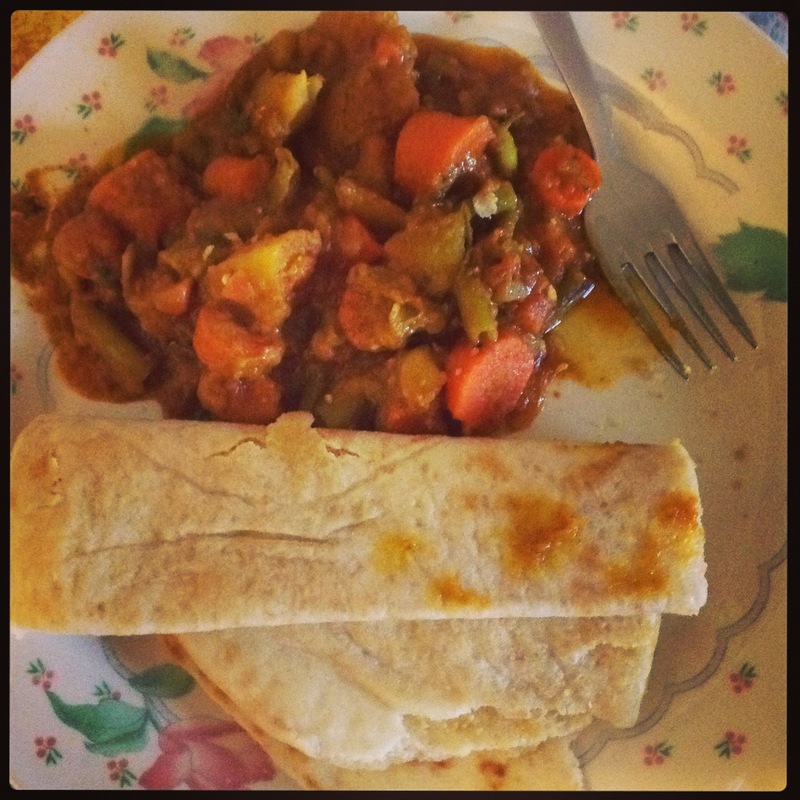 When we visit Indiatown and buy some roti or dahl pourri, we are sure to have this for a meal during the week. And every Friday night we have vegetarian stir-fried noodles. Both my husband and daughters are disappointed if I cook something else. 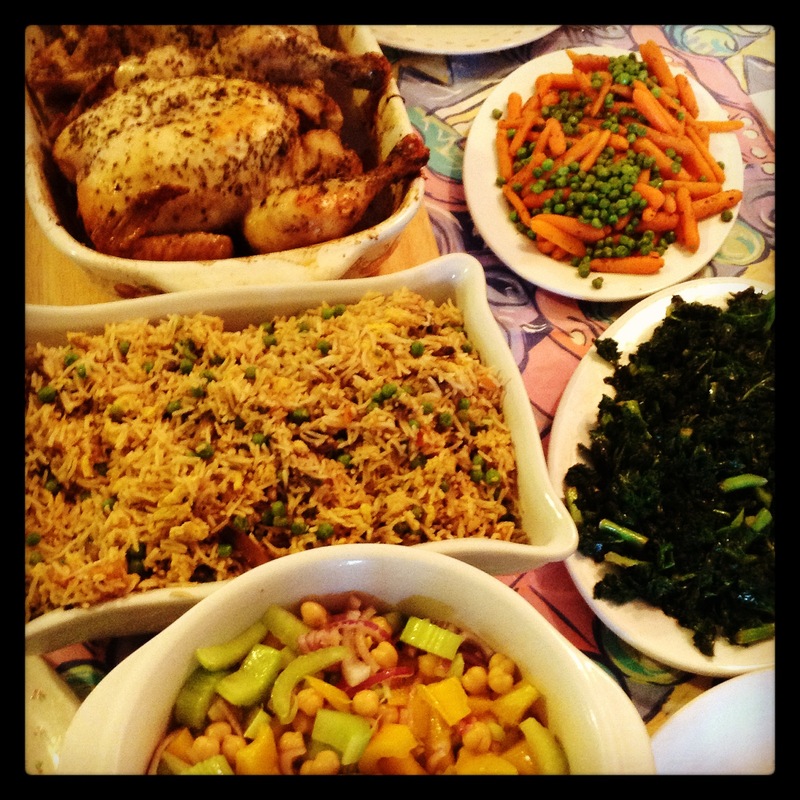 This week I am grateful for children who enjoy eating food that has been cooked at home. Not only is eating out at a restaurant a treat – but now they are more discerning with which food they want to eat. Next > Ready, Set, Go! Isn’t it amazing how attitudes and priorities change? What may have been everyday ‘bland’ suddenly becomes the best meal ever! Everything looks delicious to me. I absolutely love being cooked for. I understand my mother so much better as I age. Like you Colline, my wife prefers to cook for us, using fresh ingredients, so a meal out is a rarity. However, I confess, I prefer her home made meals and home made treats like cakes and cookies. Added to that, it does not take too much time when you cook simple foods and always have the ingredients on hand. I still do it because I know how important it is for my health and the health of my family. Very well written and yummy! Wow! With food like that who would want to eat out! In following your theme, I’m grateful for being at Mom’s and for having some of her home-cooked meals. There is nothing better! Delicious post, Colline. 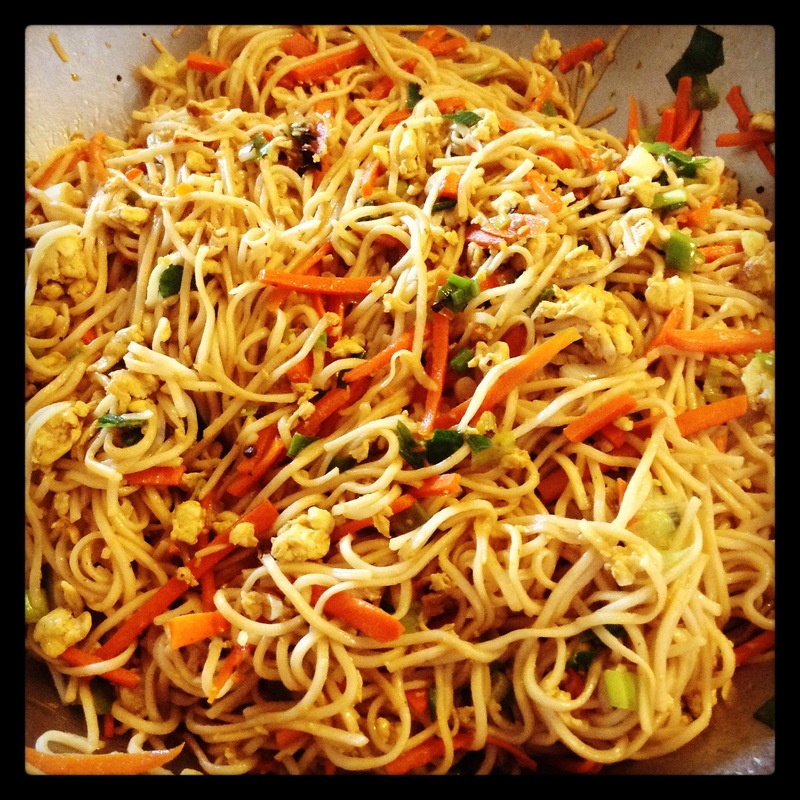 Oooh, stir-fried noodles, yummmy!! So wonderful that besides the great foods these meals become a focal point for your family to be together – charming positive post thanks. That is true. We eat all our meals around a table each day and in this way get to spend quality time together. It’s great that your daughters really appreciate the home-cooked meals — and even greater that you and your husband bother to take the time in your busy schedules to do the home cooking. So many families these days do not put any importance on family meals at all. We truly believe in eating home-cooked meals made from scratch. Not only is it better tasting, but it is also better for our health. It is kale which I stir-fry with some onions and soya sauce. Delicious. As CSN&Y sang, Teach your children well. And you have. I can only hope that I have. The test is when they are responsible for making their own meals. We aren’t fans of fast food either. Your chicken dinner spread looks fabulous! Cheers to home-cooked meals. I enjoy cooking, but since our move, I haven’t returned to my adventuresome mode … but hope too! I am sure you will once you have settled in Frank. We don’t do a lot of fast food either. My partner makes the best burgers ever. I was lucky growing up to have a mom who cooked. I know some parents just don’t have the time/energy. Sometimes I think it is the energy TB. Sometimes preparing a hom-ecooked meal does not take too much time. Our fastest go-to meal is spaghetti with a tomato sauce. Home cooked food is wonderful. I have many happy memories of delicious meals made by my Mom! My mother and grandmother were great cooks, so home cooking was just assumed really. If I eat out, it’s usually out of necessity when I’m travelling. It’s not just the inferior food, I prefer the relaxation of eating at home. Just finished some rice (he cooks that) and stir fried veg. Tasty, delicious, and not too filling for an evening meal. I worry that people don’t cook or eat fresh food anymore. I think that much of the nation’s obesity problems are because of the fast food diet. If we could all go back to home-cooked meals, many of us would be healthier. We have discovered the same thing about eating out. Nothing beats a good, home-cooked meal. And your home-cooked meals look yummy! We are definitely spoilers when it comes to water – and we do not need to walk kilometres to fetch water that we can drink.